Bald Eagles are natural predators of the Snow Goose … and they know it! 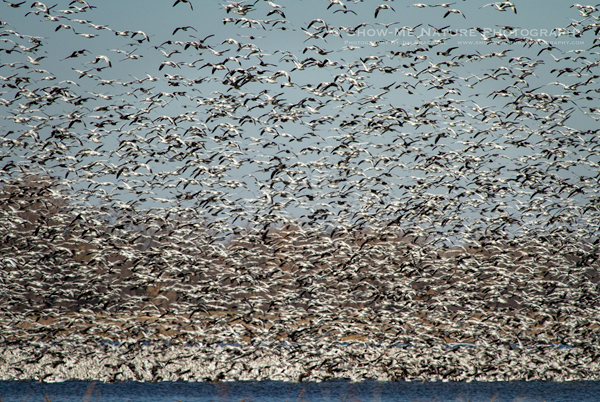 During the fall bird migration, the Snow Geese will move southward (from the Tundra regions) as the water freezes. As a result, the Bald Eagles will follow the Snow Geese on their migration southward, feeding on wounded and ill Snow Geese. 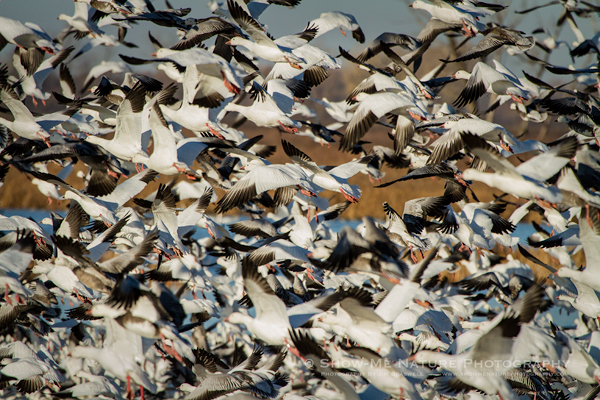 Interestingly, on occasion I have witnessed a lone Snow Goose get injured when this frenzy occurs. 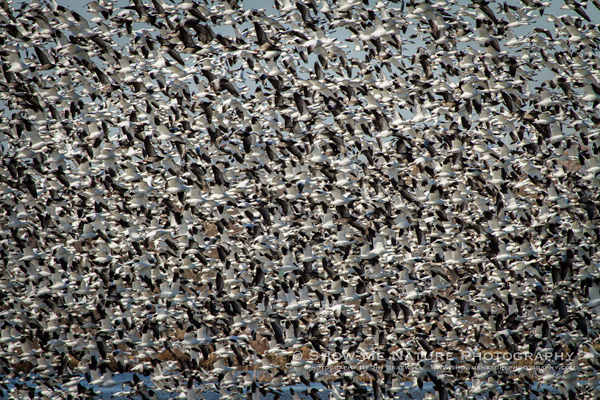 They often break a wing in the frenzy, disabling them from flying. As a result, they are easy targets for the Bald Eagle. 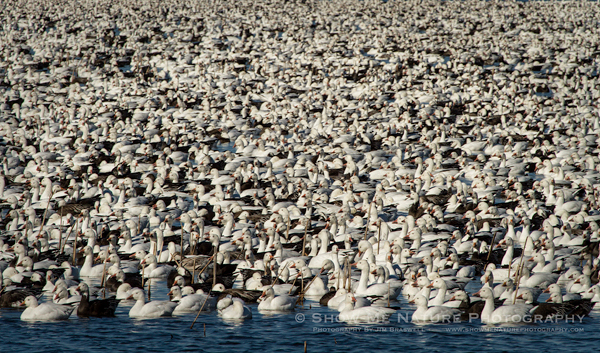 Back to the post title … if asked, could you find Waldo in the flock??? 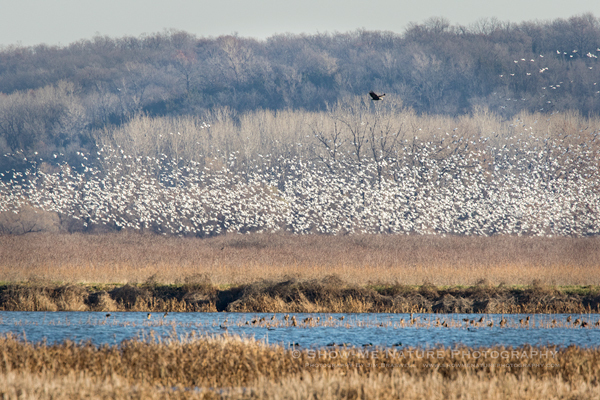 Tags: 2018, Bald Eagle, behavior, bird photography, birding, birds, birdwatching, Blog, fall, Loess Bluffs NWR, Missouri, nature, nature photography, photography, Snow Goose, Squaw Creek NWR, travel.